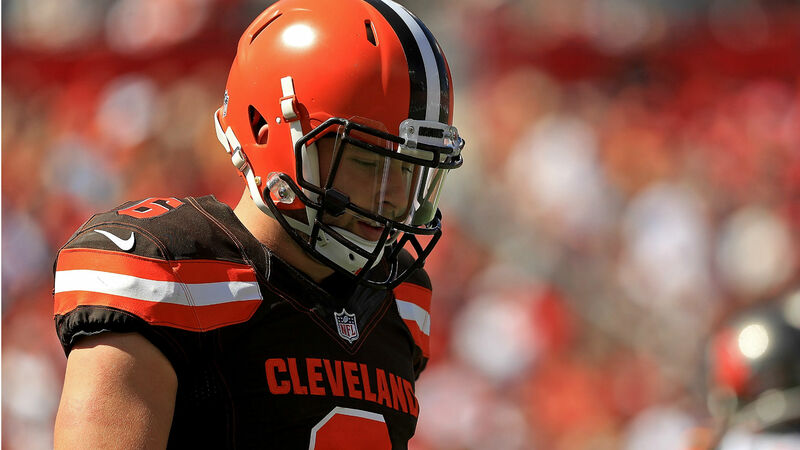 Baker Mayfield isn’t concerned about leading the Browns, despite the team’s coaching turnover and subsequent uncertainty. “With all the distractions, we will see what kind of men we have in this room — not what kind of team that we have, but what kind of men can handle a distraction the right way — can come together and focus on doing their job and doing it at a high level against a great team (the Chiefs) come Sunday,” Mayfield told reporters Wednesday. The Browns fired head coach Hue Jackson and offensive coordinator Todd Haley on Monday after Cleveland got off to a 2-5-1 start. Defensive coordinator Gregg Williams was named the interim head coach, and assistant Freddie Kitchens will serve as offensive coordinator going forward. But Mayfield feels that his leadership and his presence will help lead Cleveland. “It is kind of a fresh start for everybody, even though it is midway through the season,” Mayfield said. “I think that my leadership, my presence and making sure that guys stay focused is more important now than ever. Mayfield said Williams’ first message to the team as the interim head coach was “to stick together,” and the quarterback is hopeful the change will bring the players closer. The Browns will host the Chiefs (7-1) on Sunday with kickoff slated for 1 p.m. ET. Who is Dustin Johnson’s caddy’s fiancee Sam Maddox and how long has she been with Austin Johnson?